Professional full-service tree service company in Pittsburgh, PA specializing in Residential Tree Removal, Commercial Tree Removal, Branch Removal, Stump Grinding & Stump Removal, Pruning, Underbrush Removal, Tree Inspections, Tree Trimming, Hedge Trimming, Bush Removal Service, Storm Damage​ Removal, Lot Clearing, Crown Raising, Crown Reduction, Thinning, Deadwood Removal and 24/7 Emergency Tree Removal. We offer services to homes and businesses within a 25 mile radius of downtown Pittsburgh, PA. (See a complete list of towns at the bottom of the page). No job is too big or too small, just click the number to schedule a fast & free tree care service estimate: (412) 776-0030. Check out our service pages above for in-depth knowledge and explanations about each of the services we provide. If you still have questions, please call us anytime and a professional tree technician will be able to discuss your needs. We recognize the importance and need to educate our customers about tree care and tree removal services and how it pertains to their own specific requirements. Need to know more about tree pruning? Go ahead and check out the corresponding service page for tree pruning. Within our services pages there is more information about the complete care of trees, bushes, shrubs and other types of plants. Upon initial inspection of the job site, the tree experts will assess the property and offer the best solutions and guidance on how to best proceed with the variety of services we offer. It's important to take time in the beginning of a project to discuss any concerns about the property such as buildings, locations of sprinkler systems, power/telephone lines and landscape architecture. Some trees marked for removal may be simply be inaccessible by large machinery. In these cases, arrangements will be made for alternative arboricultural methods to finish the job properly and without causing damage to buildings or other structures and systems. On the day of tree removal service, be prepared to hear some noise as the workers use chainsaws and other machinery to cut down the trees and branches. Children and pets are not permissible around the work areas. All removable objects and vehicles should also be cleared in preparation for the tree cutting. Tree Stump Removal: Once the trees have been cut down, tree stumps which are the remaining part of the trunk in the ground that contains the root system will need to be removed. This is done by a process called "Stump Grinding". A machine called a "stump cutter" or "stump grinder" is a machine that cuts away at the stump by means of a rotating blade that chips away at the wood until the stump becomes level with the ground. The ground is covered over and the root system is left underground. Inclement Weather: Tree cutting services are unable to work in inclement weather. If there is snow, hail or high winds, tree cutting service will be rescheduled for a better day. Bad weather increases risk of accidents and injury to workers and equipment. Most of the time this is not the case, as planning for satisfactory weather has already been taken into consideration before the appointment. However, sometimes mother nature has a mind of her own and cancellations due to inclement weather is possible. Once trees have been removed, the cleanup process will begin. Raking, clearing roofs, driveways and moving debris offsite, log removal, cutting firewood, brush chipping for use as mulch or removed, removing wood, transporting wood and/or working with other contractors at the site. All details of debris cleanup will be agreed upon before removal. Many customers keep firewood to use for winter, please specify whether trees are to be cut into firewood for use later. Safety is our #1 priority. All tree trimming service technicians use safety protective clothing at all times. Safety gloves are worn to protect against insects and chemicals. Helmets & face shields are worn to protect against falling debris. Goggles or safety glasses are worn to protect the eyes. Ear muffs & ear plugs are worn to protect hearing and sturdy work shoes are worn for scaling trees and provide protection from falling tree trunks and limbs. If your property has old stumps, broken trees limbs or unhealthy trees, these all pose a safety hazard and you should act right away. Don't wait any longer, give our tree trimmers a call at: (412) 776-0030 to schedule your free tree service estimate. 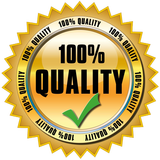 ​We take great pride in our work and customer satisfaction is so important to us. We always do our best and that is why our clients prefer Pittsburgh Tree Service PA above every other tree care service in Pittsburgh. We offer the absolute best pricing and top quality work every time. ​We look forward to helping you with your new project. Give us a call to schedule your free on-site estimate: (412) 776-0030. Bulger, Houston, Westmoreland City, Harrison City, Natrona Heights, Cranberry Twp, Manor, Monongahela, Herminie, Export, Freedom, Donora, Conway, Eighty Four, Webster, Penn, Meadow Lands, Callery, Aliquippa, Joffre, Claridge, Hickory, Saxonburg, Adamsburg, Jeannette, Bentleyville, Arona, Belle Vernon, Monessen, West Newton, Clinton, Delmont, Mammoth, Charleroi, Grapeville, Madison, Apollo, Leechburg, Slovan, Rochester,Atlasburg, Sarver, Yukon, Monaca, Langeloth, Zelienople, Burgettstown, Wyano, Ellsworth, New Stanton, Evans City, Dunlevy, Greensburg, Hyde Park, Cokeburg, Slickville, East Vandergrift, Washington,North Apollo, New Brighton, Renfrew. If you ever need tree service in Dallas Fort Worth, try our friends at DFW Lawn Company. Our friends at Tree Service Cheyenne provide expert tree services out in Cheyenne Wyoming!